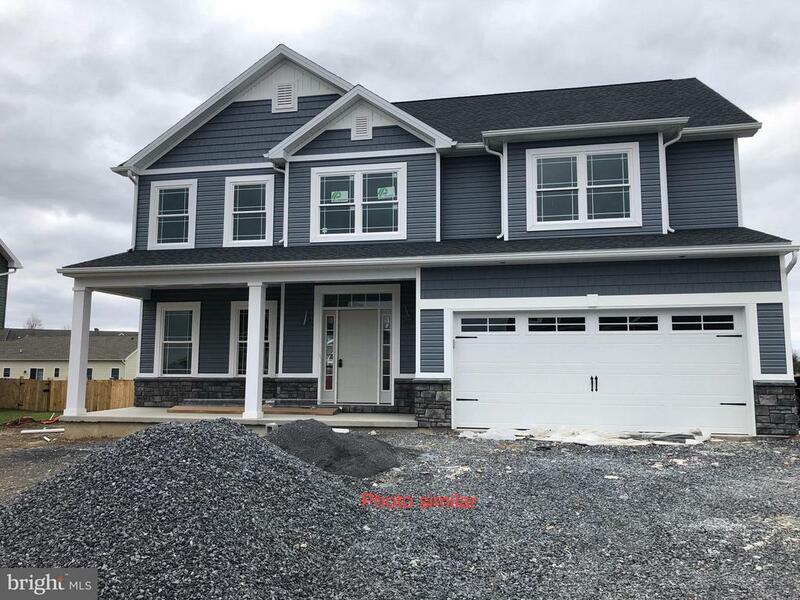 All Shippensburg homes currently listed for sale in Shippensburg as of 04/22/2019 are shown below. You can change the search criteria at any time by pressing the 'Change Search' button below. 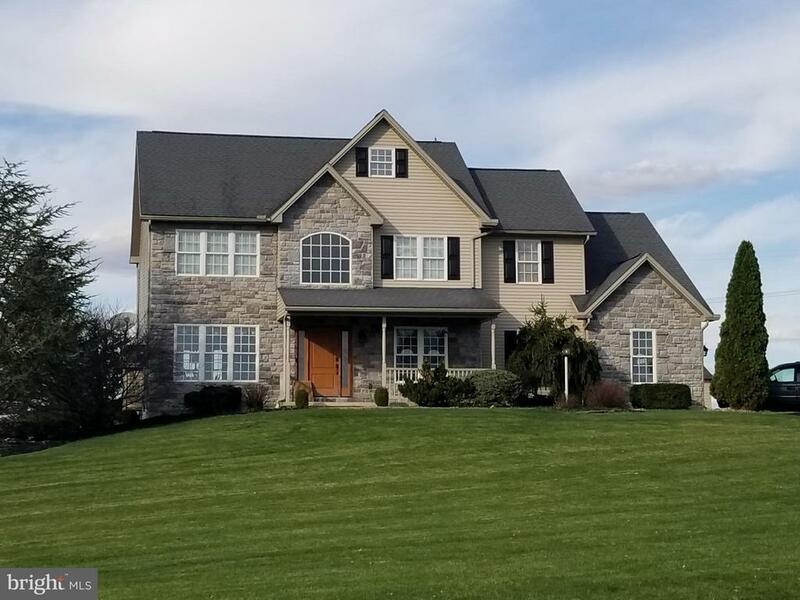 If you have any questions or you would like more information about any Shippensburg homes for sale or other Shippensburg real estate, please contact us and one of our knowledgeable Shippensburg REALTORS® would be pleased to assist you. 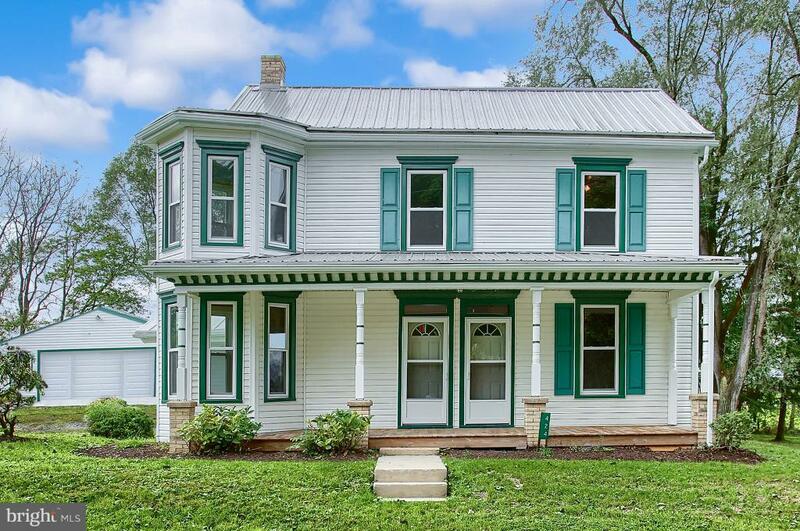 "Historical 125 acre limestone farm. Approximately 63 acres tillable. 3/4 miles of trout stream and lots of wildlife to include deer, turkeys, fishers and lots of waterfowl are also a great part of this property. House has 4 bedrooms and 2 bathes, 9' working fireplace, outdoor wood furnace and lots of charm. Most of the value is on the land. Additional in formation is available upon request." "1.2 Million ~ Prime Commercial site, approx. 1.79 acres zoned commercial/ lt. industrial, great possibility, road frontage & location, call for details." "This property is far too complicated to describe. 6,400 square foot family home plus a 6,500 sq. ft. recreation/utility building. 6 other outbuildings most with heat - some with C/A and bathrooms. 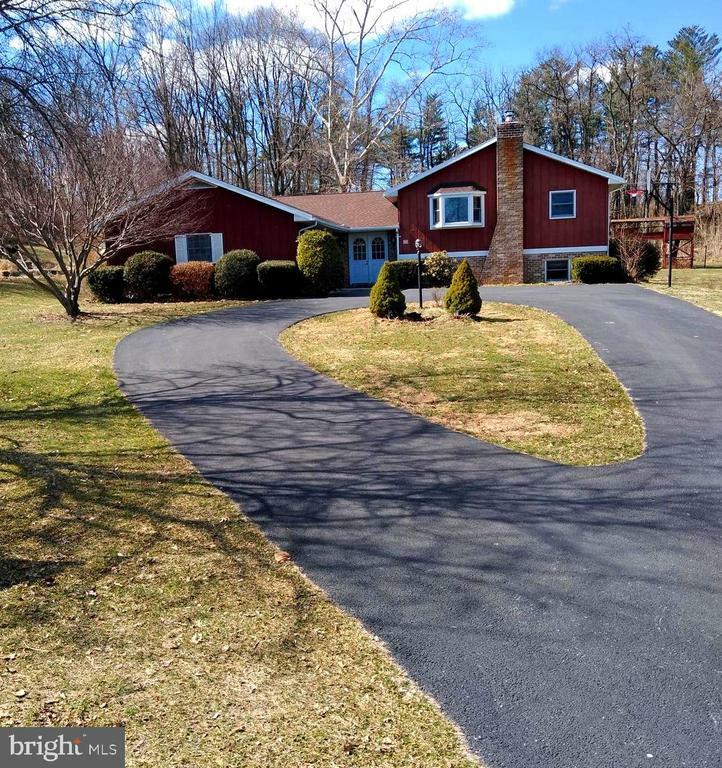 All on 57 acre private wooded acres with a stream. Could be a private home or a corporate retreat. This property has a large secure gun building that is climate controlled, 2 separate 2 and 3 car garages, garden sheds. Multiple wells and septics and so much more!" "This 2800 sq ft 3BR and 2BA custom built log home located at the base of the south mountain rests on over 4 acres. The home was constructed in 2008 by builders from Colorado for a discerning local resident. If you like wood, ceramic tile, granite and metal this is a great home. 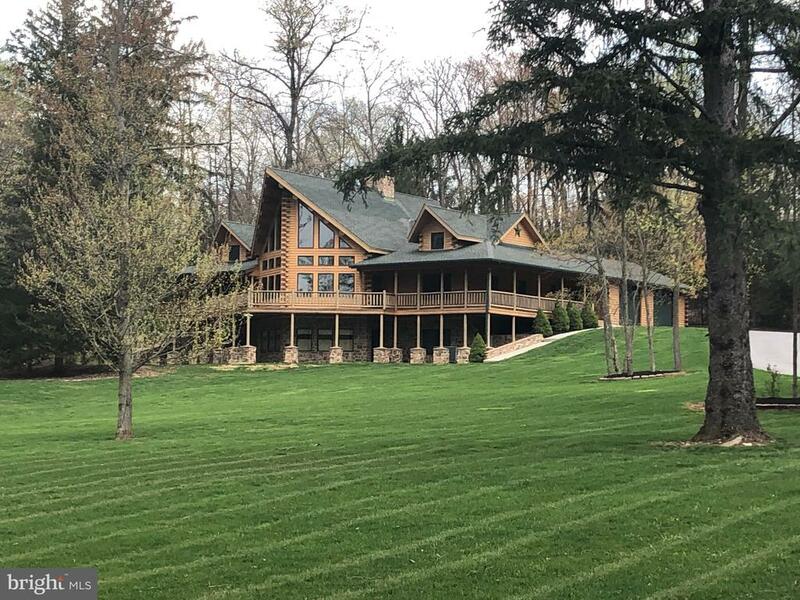 The covered wrap around porch on the lower level and between the lower and main floor balcony allows the owner to enjoy the natural surroundings of the forest while out of the elements. Entering the home on the main floor the owner enjoys the very open floor plan with the custom eat in kitchen with granite counters, stainless steel appliances to include electric stainless steel wall oven and side by side refrigerator/freezer, stand-alone facsimile old gas cook stove and oven lookalike, and a center island with cabinet storage and stools for sitting at a casual eating area. The hardwood floor covered living room to the front of the home includes large energy efficient windows which provide abundant natural light to brighten the floor to ceiling double sided, glass door covered stone fireplace, providing a heat source to the Living Room and Kitchen simultaneously. The loft above the kitchen and living room on the main level is accessed by a side stair case in the Living Room. Superior basement walls along with large family room with wood stove and 3rd bedroom are located in the lower foundation area and lowest level of this home. This area can be accessed from the exterior or the interior of the home from a staircase e located in the Living Room. The windows and glass door entrance brighten this lower level with natural light. The lower level includes a large storage room with shelving along with a propane fired instant hot water heater and groundwater thermal heating system that provides heat to the floors of the main level and air conditioning to the log home. Access to the large master bedroom with walk-in closet and master bath is done from the living room. The laundry room, hall bath and 2"
"Beautiful Brick Floridian Style Home in Shippensburg! Featuring a fully renovated kitchen with granite countertops, custom cabinets and stainless-steel appliances. Huge great room, 10-foot ceilings throughout and a central vac system! Large office above garage with its own staircase entrance and full bathroom! This home is a must see!" "You will love this delightful 2-story stone front home with touches of Tudor old-world charm and breathtaking views of the Blue Mountains. 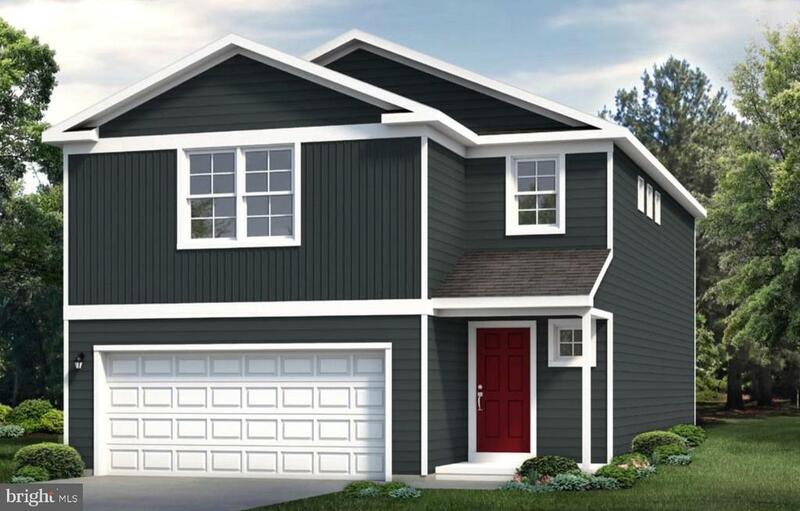 This 4-bedroom, 2 1/2-bathroom, RING & NEST Smart system controlled home has a 2-car garage~over 2900 sq. ft. of spacious elegance, PLUS a finished basement, updated flooring, bathrooms and a modern granite kitchen with brand new SS LG appliances. This is just a sampling of the long list of upgrades & features you will find in this well designed home. Imagine cuddling up to 1 of 3 cozy fireplaces with a good book. Every night relax on your maintenance free deck while you gaze at the mountains & surrounding fields, then wake up to a spectacular sunrise and the sounds of nature. Enjoy over 3 acres of professionally landscaped yard. Covenants and Restrictions, but no HOA. This home is move in ready, down to the smallest detail, situated in a convenient, friendly neighborhood with outstanding schools and nearby University. You'll be only minutes from the main PA commuter arteries of I76 & I81. Call now to schedule your private tour of this exquisite property." "One of kind home with gigantic bedrooms! Stunning kitchen with stone hood and sky lights, master with fire place, barn doors, mosaic tile and claw tub! Built in book shelves, large laundry, walk out basement and a maintenance free deck!! So much more must see!!!" "Welcome Home! This 2006 custom build has all the bells and whistles! Starting at the large foyer with beautiful marble tile flooring, oak wood finishes and a grand staircase with decorative iron spindles. Wrapping around to the formal living room featuring crown molding and a gorgeous stone wood-burning fireplace. Then enter through the glass french doors into the formal dining room accented with crown molding and a chair rail. The large eat-in kitchen boasts a breakfast bar, pantry, 5 burner gas cook top, double wall ovens, loads of cabinets for storage, and ceramic tile counter tops and back splash. Go through the family den into the large laundry/mudroom with a separate powder room. Office/study is also located on the 1st floor. Bamboo flooring and 9 foot ceilings throughout! The 2nd floor features 4 large bedrooms and 2 full bathrooms. The grand master bedroom features tray ceilings, walk-in closet, an on-suite with radiant heat flooring, jacuzzi tub and a walk-in shower. This home has lots large windows throughout offering loads of natural light! There is a partial finished full basement with poured concrete walls and a massive attic that is great for storage! It was built with 6 exterior walls and 1 foam insulation to ensure warmth in the winter and cool in the summer! The roof has 40 year architectural shingles! There is central a/c and dual electric heat pump. The outside is equally as impressive with beautiful landscaping, a wrap around porch, a 40x20 two-tier composite deck with a stone encased built in grill and a fire-pit! There is also an attached over sized two-car garage with a workshop! This home offer so much and more! You have to see it for yourself!" "This AMAZING remodeled home with high end finishes throughout will not last long! 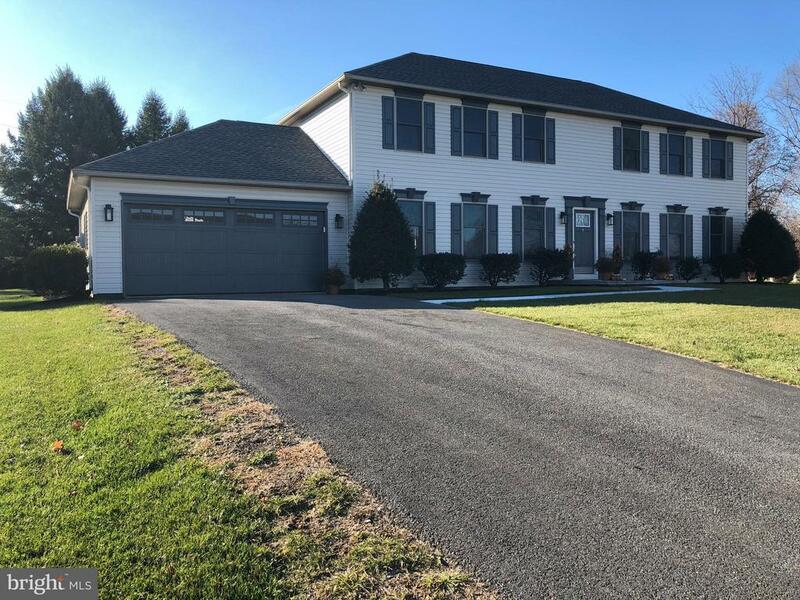 The first floor boasts a large heated/cooled sunroom, office/in-law suite, amazing kitchen with large 8ft granite island, family room with fireplace, 1/2 bath in laundry/mud room and a beautiful dining room for entertaining. The second floor has three bedrooms and two full bathrooms. The master suite boasts a spa bathroom with a soaking tub, tiled standing shower, and a huge walk-in closet. Large lot with rear fencing in a prestigious development. Short walk to James Burd Elementary School and Shippensburg Intermediate School." "Country living at its finest! 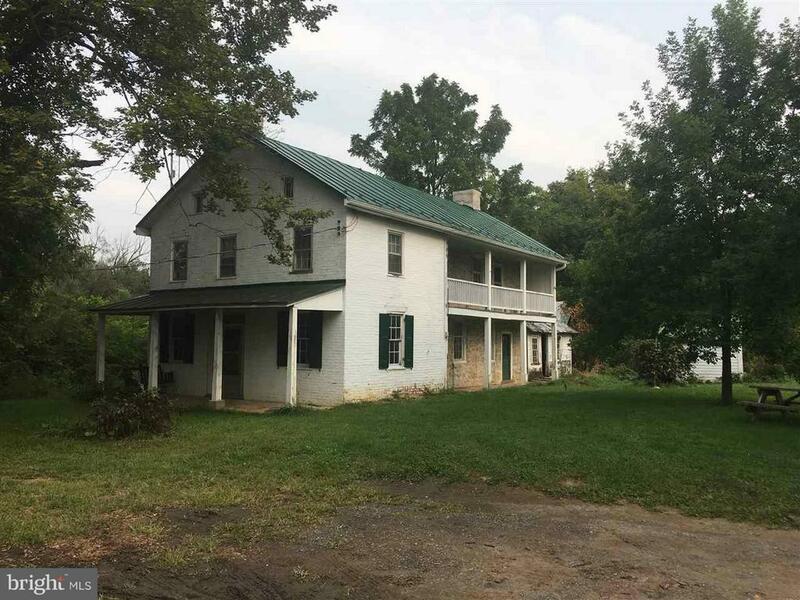 Close to I-81 and shopping, 1/2 mile from state game land. 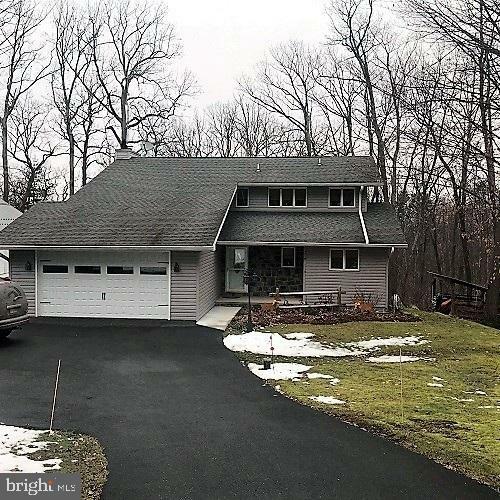 This unique property offers a large 30 x 40 garage w/car lift & 15 x 40 loft above, a 12 x 30 lean to on right of garage and 10 x 30 lean-to on left of garage. Well maintained and move-in ready home offers updated kitchen w/stainless steel appliance pkg and breakfast nook, 2 1/2 updated bathrooms, dining room w/red oak hardwood floors, oversized 2 car attached garage, 3 bedrooms, low maintenance heating system offers 5 mini split mitsubishi ac/heat systems, wood furnace in family room, sunken living room w/fireplace, large composite deck w sunken swim spa, outside access to basement and 10x10 lean to for wood, 12 x 16 shed and circular paved drive way! Beautiful wood setting." "BEAUTIFULLY RENOVATED 4 BEDROOM, 2.5 BATH MODEL HOME SITUATED ON 1.9 ACRES IN HIGHLY DESIRABLE STONEWALL RIDGE DEVELOPMENT. HOME OFFERS OPEN FLOOR PLAN, STUNNING GOURMET KITCHEN WITH GRANITE COUNTER TOPS, TILE BACKSPLASH, STAINLESS STEEL APPLIANCES, ISLAND & PANTRY, FAMILY ROOM WITH GAS FIREPLACE, FORMAL LIVING ROOM AND DINING ROOM, HARDWOOD FLOORS, NEW CARPET, SPACIOUS BEDROOMS, LARGE MASTER SUITE WITH WALK IN CLOSET AND PRIVATE BATH, OVERSIZED 2-CAR GARAGE. ENJOY ENTERTAINING ON HARDSCAPED PATIO WITH FIRE PIT OVERLOOKING GORGEOUS MOUNTAIN VIEWS." "Cust. 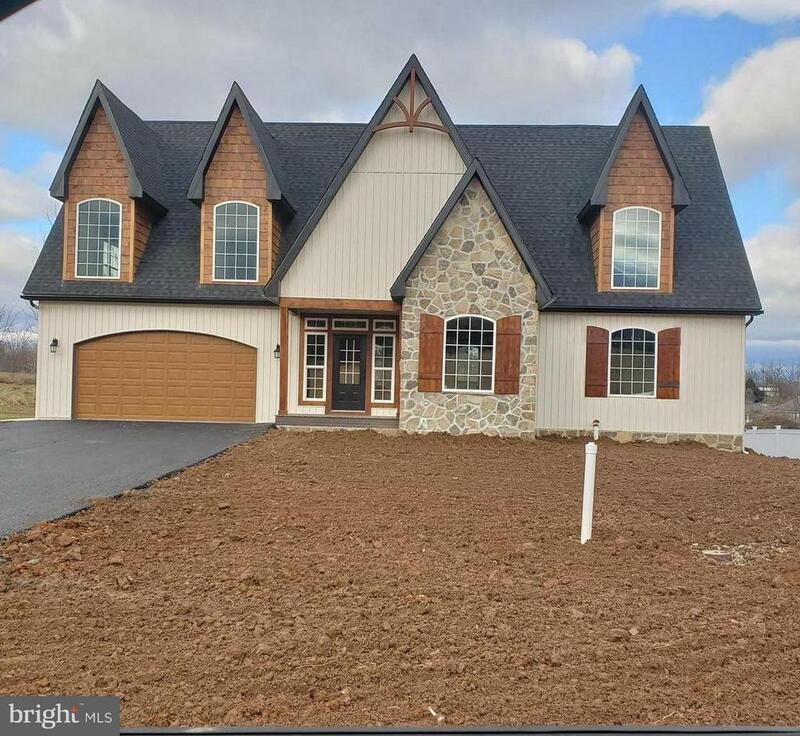 Built!Over 3350 sq ft. Master on Main/3 bdrm 2nd story. Solid Oak Wood.Poured concrete bsmnt.,Over size garage (25x25x17'H) To many up-grades to list. Ft. Porch/Bk.Deck. Private, 1.5 acres." 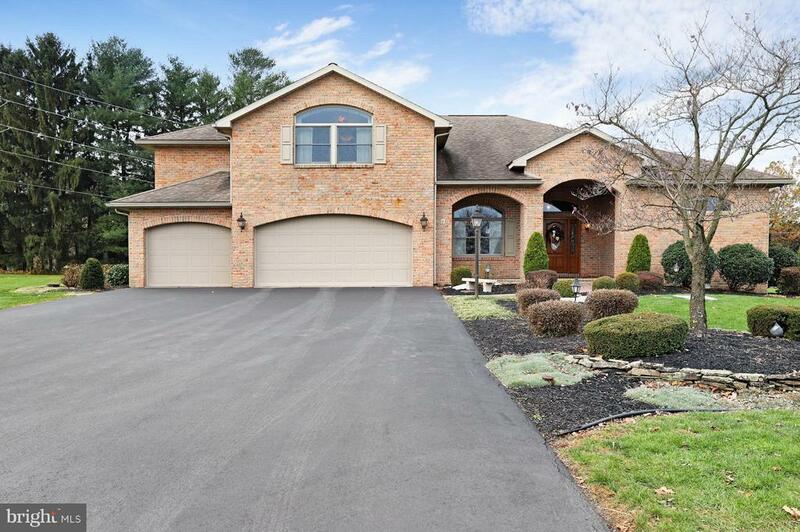 "Don't miss the beautiful setting of this five bedroom home on 1.84 acres. Sun room overlooks the peaceful secluded back yard and has a separate heat pump for heating and cooling. Pellet stove with thermostat is in the basement. Updated roof, vinyl siding and all windows except large window in dining room. Wood burning fireplace in family room plus pantry in kitchen. Upgraded kitchen cabinets with trash can drawer, pull out shelves in lower cabinets, and brick and tile back splash. Attached two car garage, equipment shed and potting shed. 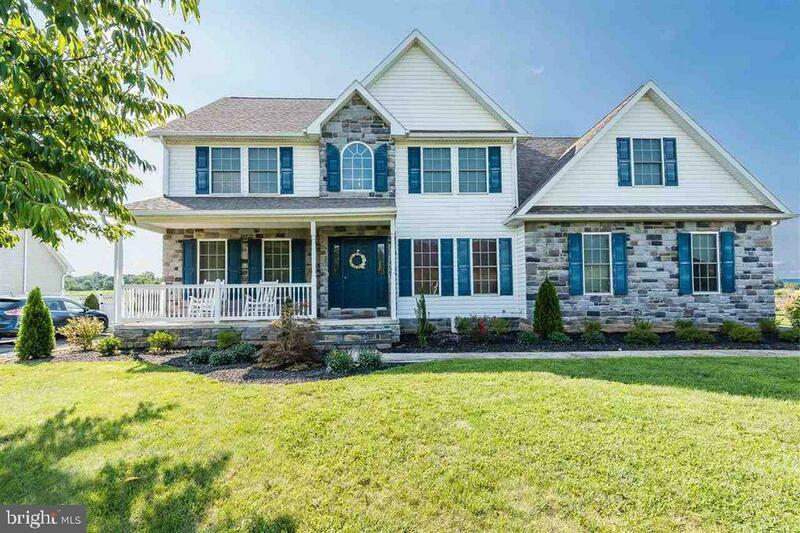 All this in a great country setting within 25 minutes of medical facilities, shopping, Carlisle and Shippensburg." 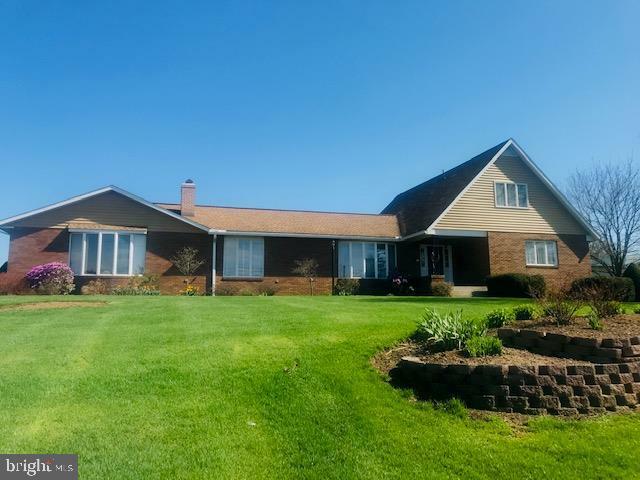 "Meticulously maintained and move in ready, 3 bedroom 2 and a 1/2 bathroom bi-level home in Field Crest on the largest lot. 3/4 of an acre to be exact! 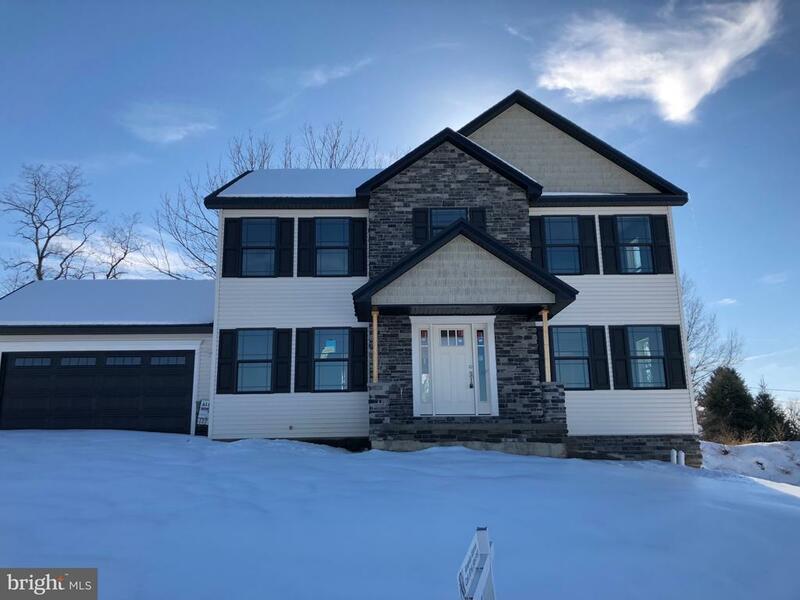 This home offers magnificent curb appeal with stone accents and hardscaping, a manicured lawn, 2 tier deck with new hot tub and a vinyl fenced rear yard. From the moment you enter this house, you will truly feel at home! Vaulted living room ceiling with fan, double sided gas fireplace and large front window allowing for plenty of natural light. Spacious dining room that easily accommodates an 8-10 person table, hardwood flooring, ceiling fan, and double doors leading to a large rear deck. Newly remodeled kitchen and appliances with center island, attractive backsplash and above and below cabinet lighting. Grand master bedroom with sitting area, walk in closet and master bathroom with double sinks. Family room offers a built in bar and is a great space for entertaining within a short distance to the hot tub! ...And the list goes on... Schedule an appointment today to make this home...YOURS!" "Gorgeous new home with spacious open floor plan. 4 bedrooms, 2.5 baths, 2nd floor laundry, large walk-in closet and full basement are just a few great parts to this home. Still time for buyer to select some interior selections to personalize to your taste!" "WOW! Nearly 3,000Sqft of finished living space in such a fabulous location! 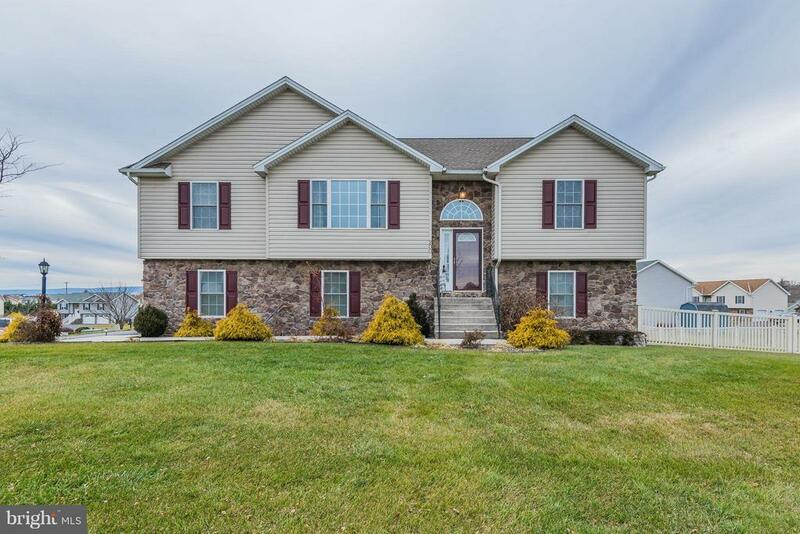 On the outskirts of town, but only minutes to I-81 and all the amenities! This home offers 4 over-sized bedrooms, 2 full bathrooms and 1 half bathroom. Master Bedroom completed with a large walk-in closet and master suite with a jacuzzi tub, his & her sinks, double vanity and even room for that bun in the oven to have their own little nursey or a separate reading nook for those who love to read! The upper level also includes a finished bonus room with unlimited possibilities! Use it as a family room, media room, kids play room, office, you can even make it a 5th bedroom if you'd like! The main level offers a spacious kitchen with custom oak cabinets, granite counters, ceramic tile floors, a breakfast nook over-looking the breathtaking views and a separate dining room for all of those formal events, family events and is great for entertaining! The living room has enough room for the entire family, sit in front of the fireplace and stay warm in these cold winter months. This home also offers a formal living room or use it for an office or play room for all those toys! The separate laundry room is located on the main level as well as the half bathroom for all your guests! Full, Unfinished basement with unlimited potential - game room, bar/lounge, workshop, ect with exterior stairs to the outside as well as interior access! Over-sized 2-Car Garage with lots of storage space for the extra toys for the adults that need it! Check out the back yard, fully fenced with white vinyl privacy fencing around the sides and an open, picket fence in the rear so you can still enjoy those views! Check out this home today, before it's gone! You will love where you live, it won't last long! Call Kristin or Curt for your own private tour!" "Updated & Renovated Colonial. Nestled steps away from the historic rail trail. Original HW floors, doors, chair rails & chestnut trim has been refinished. All new windows, flooring, plumbing, & insulation. New heat pump with central air! New septic lines, septic tank, & distribution box. New well pump and pressure tank. Most notable is the brand new, custom kitchen with Corian counter tops and oversized cabinets. Awesome tile flooring. Large mud room w/ laundry area. Open master bedroom w/ walk in closet. 2nd BR features a balcony. Sizeable deck overlooks the mature back yard. Newly poured patio, sidewalk and side covered porch. Oversized 2 car garage is a bonus! Come and take a look." "This is a one of a kind, unique home. It has 3 levels of living and is situated on 1.05 acres of land on a quiet dead-end street. 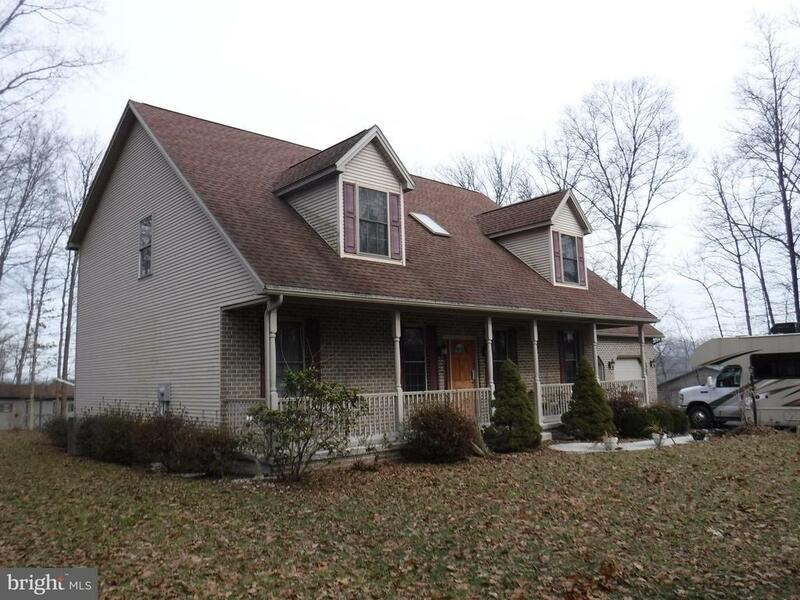 This home offers 4 bedrooms and possible 5th bedroom located in the finished basement. 3 full bathrooms, 3 family/entertainment rooms, 2 decks, a screened-in sunroom, 2 car garage, and much more. This home has solar cooling system, and solar powered radiant heat system, new Anderson renewal windows, floating bed with living space under bed, deck off master bedroom, and much more. A real must see." "NEW CONSTRUCTION IN TIMBERLAND ESTATES. SPACIOUS 4 BEDROOM HOME, WITH 2 AND A HALF BATHS, AND TWO CAR GARAGE. OPEN FLOOR PLAN ON FIRST FLOOR. KITCHEN OFFERS CUSTOM CABINETS WITH ISLAND. DINING ROOM AND OFFICE ON LOWER LEVEL. 2ND FLOOR LAUNDRY MAKES LIVING EASY! LARGE CLOSETS IN EACH BEDROOM. PARTIAL DAYLIGHT WALKOUT BASEMENT COULD BE FINISHED TO GIVE EVEN MORE ROOM. BEAUTIFUL COUNTRY VIEWS. OWNER IS LICENSED REAL ESTATE AGENT." "Dive right into this home! This well-kept 3 BR, 2.5 BA home has all you could ask for. Spacious bedrooms, first floor laundry, formal dining room, eat-in kitchen,partially finished basement and an inground pool. Just minutes to Shippensburg University and surround attractions." 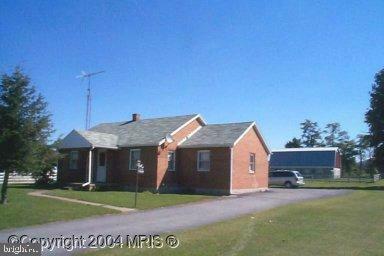 "Buyers will love this spacious brick home! This 3400+ sqft house offers 4 bedroom, 2 full bath, 2 half bath, kitchen with island and dining area, formal dining room, living room, family room with gas fireplace, large laundry room, first floor master bedroom with two closest, fully finished basement with kitchen area, newly remodeled bathroom that is wheelchair accessible with heated floors and so much more. The property also offers a oversized two car garage and the adjoining lot (09-0C04-110) is included in price. Don't miss out! Schedule a showing today." "TO BE BUILT in Deerfield. BRAND NEW Wynnwood floorplan by S&A Homes. 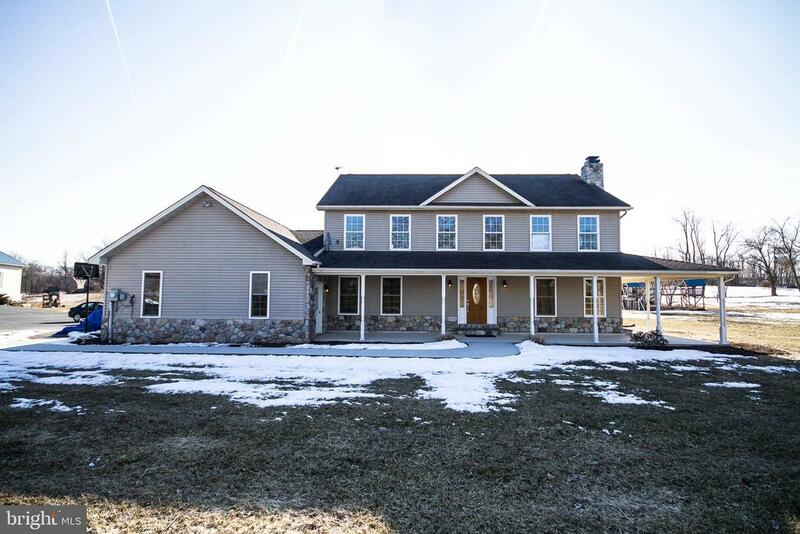 4 beds, 3.5 baths, 2 car garage, and natural gas heat. Modern layout with kitchen open to dining and family room. Open kitchen with window over the sink and optional 60 island. Large dining room with sliding door to the backyard. Recessed lighting in kitchen, family, and dining room. Owner's suite with attached bath and HUGE walk-in closet. The three secondary bedrooms share TWO more full baths. Large mud room off garage. Full, unfinished basement. You have the option of upgrading the kitchen to include granite counters and stainless steel appliances, upgrading the bathrooms to include ceramic tile, and adding a fireplace, luxury vinyl plank flooring throughout the first floor, and deck. New Streamline series makes building faster and easier. 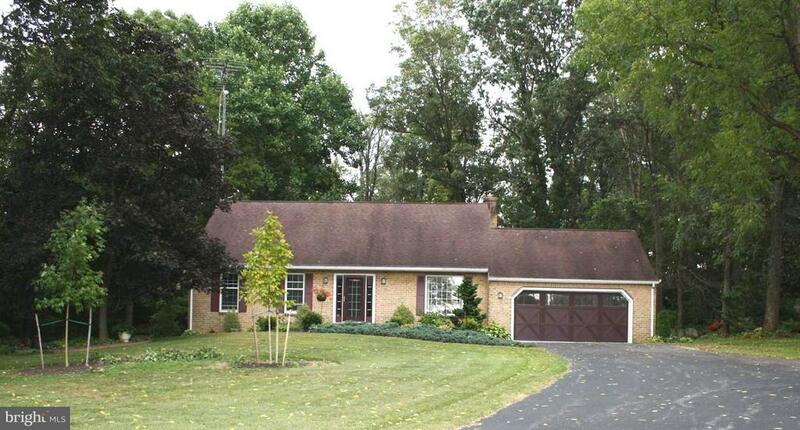 Deerfield is located just minutes from downtown Shippensburg and I-81 with easy access to Carlisle or Chambersburg."